Tet Paul Nature Trail St. Lucia Tour | Is an excellent St. Lucia hike. We offer the best prices on a tour with a friendly, local guide. Book now and experience this exciting St. Lucia attraction. ​The Tet Paul Nature Trail is easily one of the most popular walking trails on the island. We offer guided tours starting at the best rate on the island, with one of our friendly tour guides, who will pick you up at your hotel, resort, or cruise ship. Entrance to the trail is $10 additional per person. This 45 minute hike is easy in difficulty and will take you to an organic farm and more, making it a great way to see the island! 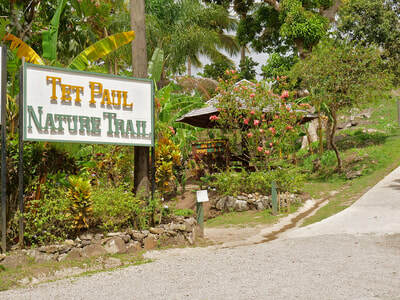 ​The Tet Paul Nature Trail is one of St. Lucia’s most beloved walking trails. 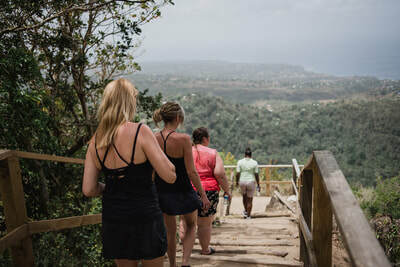 A tour Offering a unique combination of history, adventure, exquisite plant life, and breathtaking scenery, the trail is on the must-experience list for many of the island’s visitors. ​While tour prices are low and include entrance fees, individuals arriving alone or in a group without a guide will need $27.00 ECD or about $10.00 USD per person for entrance to the trail. These fees help keep the trail and its properties maintained. Always inquire on updates prices as they are subject to change. ​The hike is rated easy to moderate in difficulty, and the Tet Paul Nature Trail length is about 45 minutes, making it a good fit not only for those visiting the island for a few days, but for private tours and groups on cruise ship excursions as well. 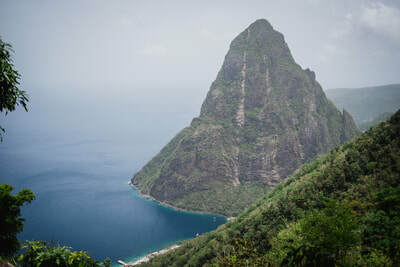 The trail is located about an hour from the cruise ship terminal in Castries, and only a few miles south of the popular destination city of Soufriere. 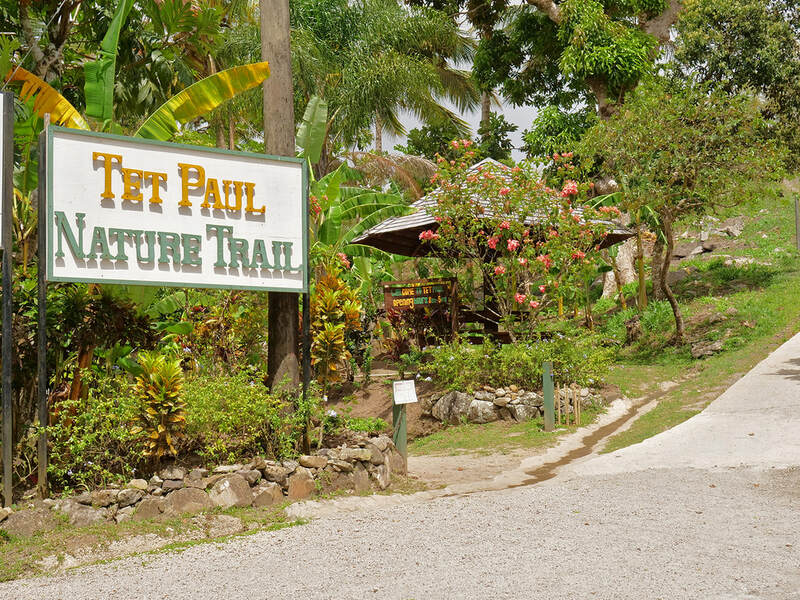 ​While there are many hiking trails in St. Lucia, the Tet Paul Nature Trail is easily the most popular. 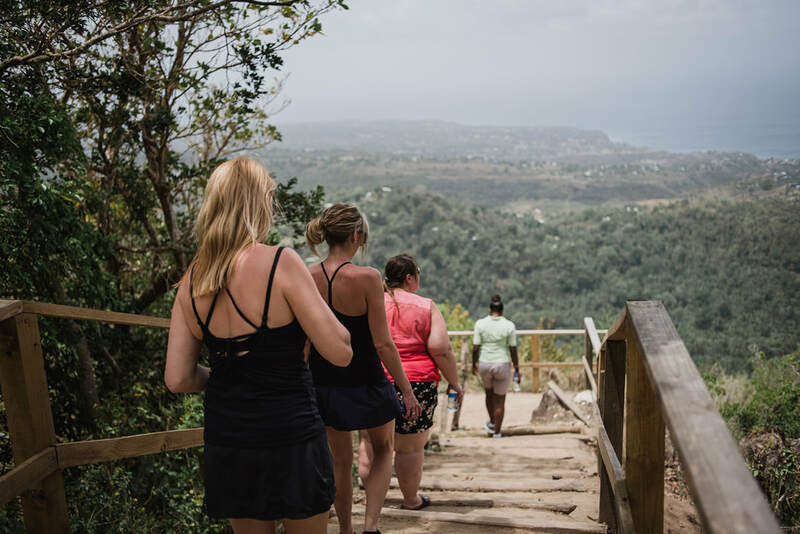 ​From the trail, visitors will have views of the twin Piton Mountains, Fond Gens, Vieux Fort, and much more. 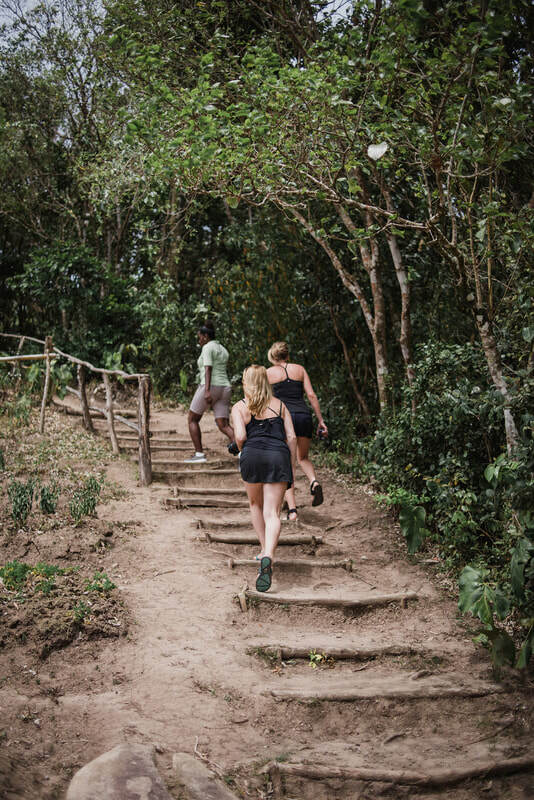 The trail offers a hike through an organic farm, the Traditional House, which is a cultural historical site, Kaye Kassav, where Cassava is made, and a picnic area perfect for a meal enjoyed while surrounded by the mesmerizing St. Lucia landscape. ​While the Tet Paul Nature Trail can be hiked alone, a guided Tet Paul stairway tour can be the best way to enjoy this excursion. With a friendly local guide, visitors can learn more about the history of the island along the trail route as well as learning about flora and fauna seen along the way. ​Soufriere destinations like the drive in volcano at Sulphur Springs. Tet Paul Nature Trail directions are easy to obtain from any local business, including villa concierge services, and the trail is clearly signposted to make arriving a breeze for those who elect not to hire a tour guide. For reservations contact number is (758) 486-1561 or get a quote/rate here. If you are looking for a great way to get out and see the best of St. Lucia, a Tet Paul Nature Trail tour is truly an exceptional choice! 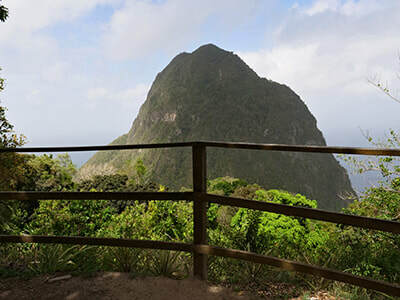 With rates starting at only $55 USD per person, hiking Gros Piton is a great way to see St. Lucia from a new vantage point. 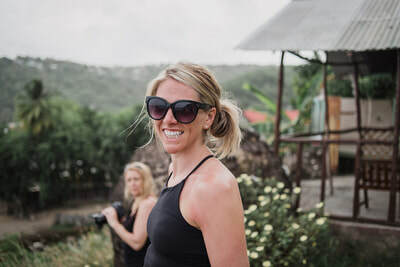 ​Taking about six hours’ time, this all-inclusive hike includes pickup and dropoff at your hotel or resort, water during the hike, and a friendly, professional guide. Gros Piton is a moderate hike in difficulty, and bringing along a guide is certainly worth the price. Exploring St. Lucia is always exciting, and a Gros Piton hike lets you see it in a way that most travelers never get to experience.